Secret Service arrests Dallas man who allegedly traveled to Washington to kill "all white police" at the White House. The Secret Service on Monday arrested a Dallas man who allegedly traveled to Washington after threatening to kill "all white police" stationed at the White House, The Hill reported. The protective personnel were warned "to be on the lookout for Michael Arega, who reportedly traveled to Washington D.C. for the purpose of killing 'all white police' at the White House," the Secret Service said in a statement quoted by the website. A few hours later, Secret Service officers arrested Arega, after he was spotted "on the north side of Pennsylvania Avenue near Lafayette Park," according to the statement. The suspect was arrested without incident and is being detained in the Metropolitan Police Department, as his arrest charges are pending. The law enforcement agency plans to further investigate the threat, according to The Hill. The arrest comes after a series of security breaches at the White House this year. In May, the White House was placed on lockdown after a person attempted to jump over a bike rack used as a barrier along the north fence of the mansion, before being taken into custody. In March, a California man was arrested 17 minutes after he jumped the White House fence near the South Portico entrance. 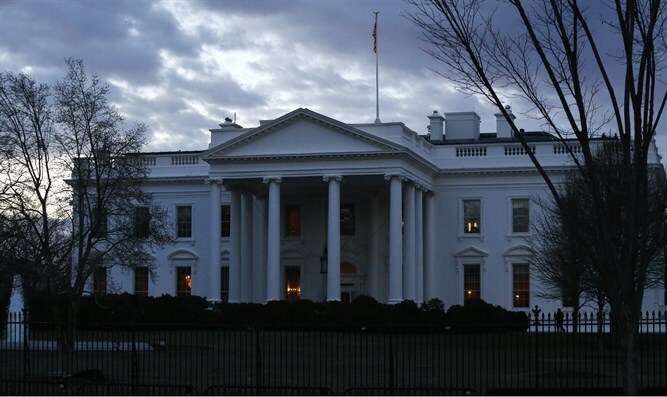 In 2014, two men managed to breach into the White House in two separate incidents within a 24-hour period, causing the building to be evacuated. The White House was on lockdown during Thanksgiving of 2015, after a person jumped the newly upgraded fence. The jumper managed to get over the fence but was immediately caught.